This past weekend my colleague Jared Ragland and I travelled to Charlotte, NC to finally start learning the wet plate collodion process with Scott Stallings. After a few hours of learning and mixing chemistry, Scott walked us through the whole process from start to finish. 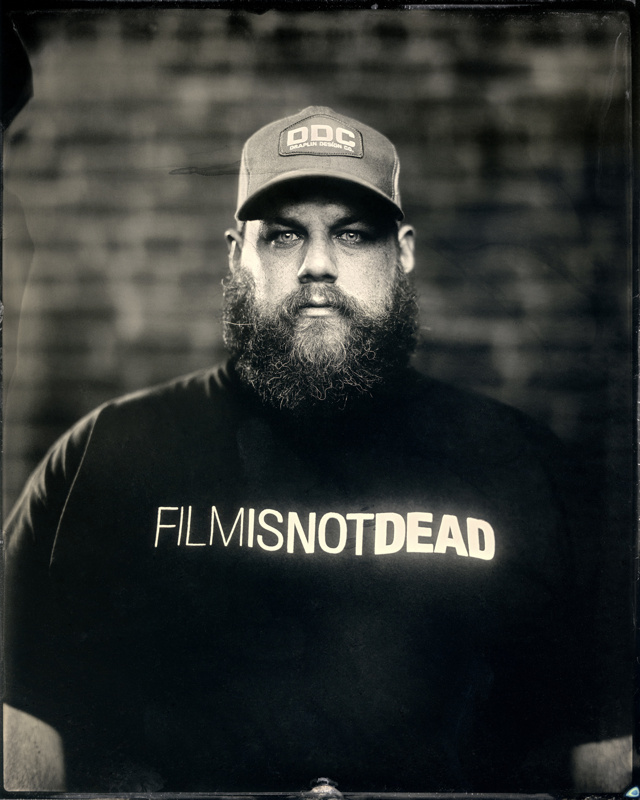 This is the resulting 8x10 plate of me (the Film Is Not Dead shirt wardrobe is no accident, by the way). Much more to come once we get all our ducks in a row, but suffice to say that we are very excited.